November 28th is an intense date in the calendar, when we need to breathe, slow down, and be tender towards ourselves in order to get where we wish to go. A lot of energy hides in this date, and attempts of those born at this time to live their life as fruitfully as possible, might be wrongly interpreted by others as too childish and sometimes ruthless. Their raw energy will be put to good use as they learn, travel, and expand their horizons to understand their own heart. 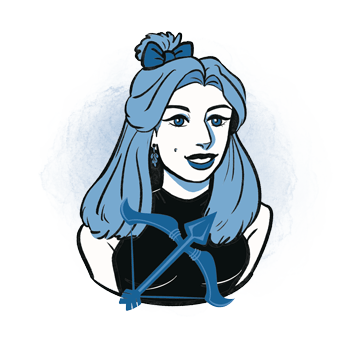 Rushing towards the future and positions and achievements they wish to have, Sagittarius representatives born on the 28th of November might find themselves running as far as possible from emotional and family issues that need to be resolved. Dealing with hurt is not their forte, and while they will protect themselves with more and more successful and honest choices for Self, they tend to close their heart and bury feelings that are needed to rise to the surface to be let go of. They are to take a step back, handle issues from the past to secure a solid foundation for the bright future they wish for. To help their own inner world, they need fresh air, time spent in nature and profit most from different breathing techniques that bring emotional peace. The relationship between their parents defines their moral beliefs, strong values and usually their direction in life. Respectful of those who came before them, they need to find balance between loyalty and truthfulness to themselves, and see the fineness of their own emotional world while seeking rational solutions. Their blessings could come in disguise and they need to separate their gratitude to those who loved them from gratitude towards the Universe for being themselves. Seeing life as an adventure and a game to be played with others, team work is one of their most important qualities and needs along the way. They require focus to hit the ball right, and this is exactly why time and patience is required for their victory over ego and troubles in their life. When they take the time to stand in position, they get the chance to show the true power of their energy and strength, and very often moments of stagnation will be the ones responsible for greatest achievements and growth. The main purpose in lives of those born on November 28th is to find their direction in life. While they will follow many roads and embark on new adventures, finding the right calling in their heart will require time and dedication. Their world could be tainted with numerous convictions that aren’t their own, and the inner struggle will mostly reflect in their search for the truth while listening to all sorts of static and dogmatic views from the side. They need a lot of open space to reach the point of clarity, so they can focus their energy on goals that inspire them and make them feel alive. Once their direction is found, they typically become wealthy travelers, teachers, and those who know how to touch the heart of others seeing straight to the core of their issues. Wanderers in many ways, individuals born on the 28th of November could be a bit too hasty when it comes to relationships with others. They will childishly open their hearts, seeing everyone as their equal, often without appropriate emotional filters and protection. At a young age, they will fall in love often, sometimes considering a couple of potential partners at the same time, rarely ready to commit for a long time until they find someone they can learn from and truly connect with on an intimate plane. Their attempts to make a pure link between love and sexuality could be shoved aside due to limitations of others, and it is important that they put their emotional imperatives on top of their priority list, rather than anything else that others might think important. They are to nurture healthy convictions that bring love into their world, as they discover their own value and love for self through contacts with partners who don’t make them happy. They need someone strong and independent, brave enough to approach them truthfully and without hidden agendas or too much shame. When they reach a point of emotional contact where shared desires are chased for in a strong partnership, they let go to the flow and discover oneness with another human being. A person born on November 28th excels in all fields of philosophy, education and teaching when they gather enough experience through life. Their early years will give strong sportsmen and those willing to fight battles for others, protective and filled with initiative. Innovators and researchers, they are to learn to commit to one issue for long enough to make breakthroughs their mind is capable of making, and in order to do so, need to follow talents they’ve been born with instead of following in anyone else's footsteps. Lepidocrocite in quartz is an excellent choice of stone for people born on the 28th of November. It is a crystal known to help with hyperactivity and ADHD, and in a wider sense, sooths one's Soul, calming and protecting their inner child. It heals their most vulnerable parts of authentic personality, where they have been bruised due to misunderstandings and lack of vision of those around them. 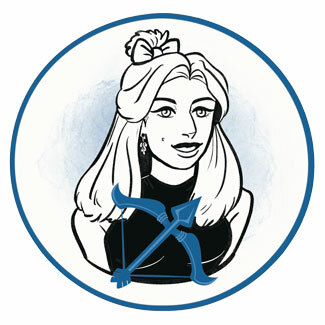 Sagittarius representatives born on November 28th love gifts that support their need for movement, especially travel, but they are most likely to get touched by creative gifts you make yourself. Create a collage of shared moments, draw them something to show raw emotion you recognize inside them, or write a funny poem that will boost their self-esteem. They are always prepared for new things and love modern presents with a clear purpose, as well as all those small trinkets that are colorful and symbolic. Never giving up on their inner child, they are feisty and ready to fight for their inner truth. Openhearted, protective of those they love and warm, they are good friends with dignity, loyal to extremely high moral imperatives. Hasty, rushing and pushing everyone, including themselves over their limits, they can become aggressive in their ways or close their emotional world for interaction when too many bruises haven’t been dealt with. In 1820 Friedrich Engels was born, a German English philosopher, social scientist and journalist, who developed the Marxist theory together with Karl Marx (born on May 5th). His revolutionary activities disappointed his parents who had plans for his career path in life. He wrote that in order to get the most out of life, one has to be active, live and have the courage to taste the thrill of being young. In 1943 Randy Newman was born, an American singer, songwriter, pianist and composer, recognized for his distinctive voice and film scores. He stated that any sense of religious identity was absent in his childhood. In 1950 Ed Harris (Edward Allen Harris) was born, an American actor, screenwriter and director, who starred in Pollock, The Hours and others. In high school, he was a star athlete and competed in athletics at Columbia University. 1785 – The U. S. acknowledges lands of the Cherokee by signing the first Treaty of Hopewell. 1814 – The first time that a newspaper, The Times of London, is made on a steam-powered printing press. 1843 – The U. K. and France officially recognize the Kingdom of Hawaii as an independent nation. 1895 – The first automobile race in the U. S.
1967 – Astronomers discover the first pulsar in the constellation of Vulpecula. 1972 – The last Paris executions take place.